Version 3 is now up bringing compatibility with JAM and EGM's Squadmate Pack. You have to use the .mod patch files. Don't complain about this. It was the easiest way to do things. My my, it looks awesome! 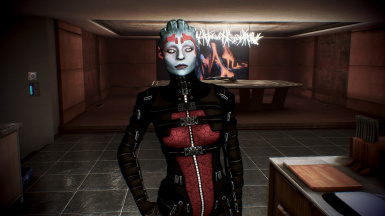 I've created the mod with the same idea, but I never was able to give different outfits to Samara since I found just one texture file for her in game. How did you manage to give her different outfits with properly working textures? Texplorer lets you edit individual PCCs. Select the texture you want to edit and then click the pcc tab under the search bar. Then, you can select which PCC gets modified. Rescan afterwards and you will see that the modified pccs will have their own section in texplorer when you type the name of the texture again. Is it safe to install the armor by itself? I'm not really into the casual outfit, but I love the armor. Good mod, would you be able to do a few more mods for other characters? In response to post #56902081. I tried using this mod, but it keeps crashing the game. Why couldn't it just be a simple "drag and drop?" This mod is a "Drag and Drop" mod. 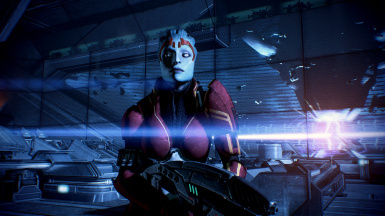 If you use JAM or EGM's Squadmate pack, you have to use the patches for Samara to show up in her new outfit at the Embassy and wear her new armor if you take her on missions. The mod description and patch instructions are clear on this issue. However, not using the patch will not crash the game. If you're facing crashes, it is most likely that you did not autotoc. One more thing, if you installed textures via MEM the patches will not work. The reason is the patches are in the wrong format. You can convert them to MEM's format , but I don't know if MEM can change individual PCCs like ME3 explorer can. I neither have JAM's, nor EGM's mods. I don't know how to "autotoc." How can I do this? Update: Nevermind. I figured it out. Can EGM Squadmate Patch.mod and JAM Patch.mod be installed before installing a lot or do I have to install after a lot installation? After. Sorry for the late response. However, since a lot uses MEM, you have to convert it to MEMs file format. This mod is a " rag and Drop" mod. 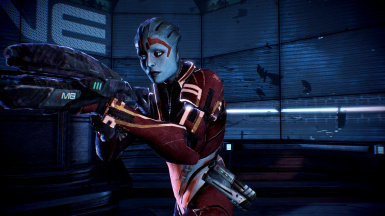 If you use JAM or EGM's Squadmate pack, you have to use the patches for Samara to show up in her new outfit at the Embassy and wear her new armor if you take her on missions. The mod description and patch instructions are clear on this issue. However, not using the patch will not crash the game. If you're facing crashes, it is most likely that you did not autotoc. 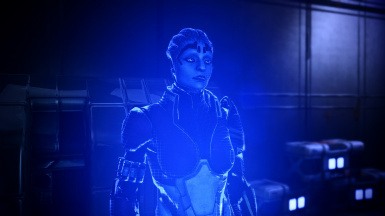 For what it's worth: Using "Mass Effect 3 Mod Manager", I updated this mod's DLC mount priority to 5010, and consequently didn't seem to need the additional JAM and EGM Squadmate patches. So, before you fiddle with ME3's innards, try ME3 Mod Manager first - might be all you need. What you've done is not a good thing. In fact, I am against anyone doing this. What you've done essentially makes my mod incompatible with JAm. If anyone romanced Samara, their JAM would be broken if they did this. 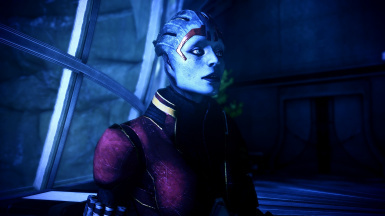 One of the files in my mod would overide Jam's which wiuld brake that mod for Samara rimancers. 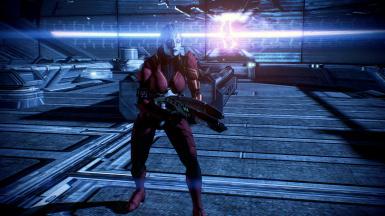 In addition, the patch for EGM simply puts the armor on samara if you choose her as a squadmate in the EGM Squadmate pack. I recommend you change the mount priority back or install a fresh copy.